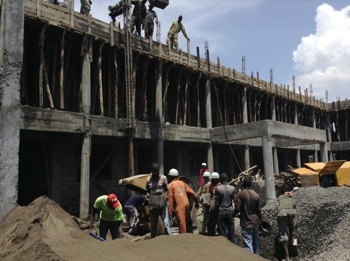 Project: NEW LIFE AFRICA INTERNATIONAL SCHOOL. The following extract is taken from a talk to our club by member David Virgin in 2005. This follows voluntary work by the Virgin family in response to humanitarian needs of disadvantaged children living in appalling conditions. 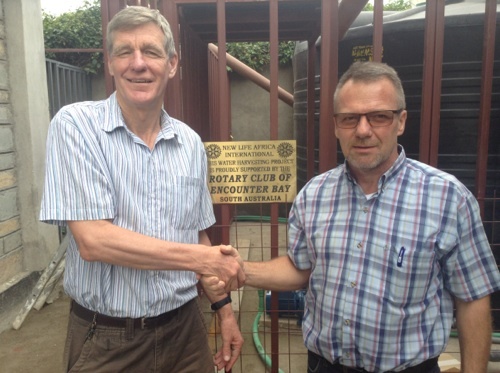 It describes the need at the time, and the Rotary Club of Encounter Bay has been generous in its response over a period of 13 years. "There is a plan for a new classroom building and this is very much required. At present there are some classes which are held in rooms with no windows and no lights so it is difficult for the teacher and the children to see and concentrate. 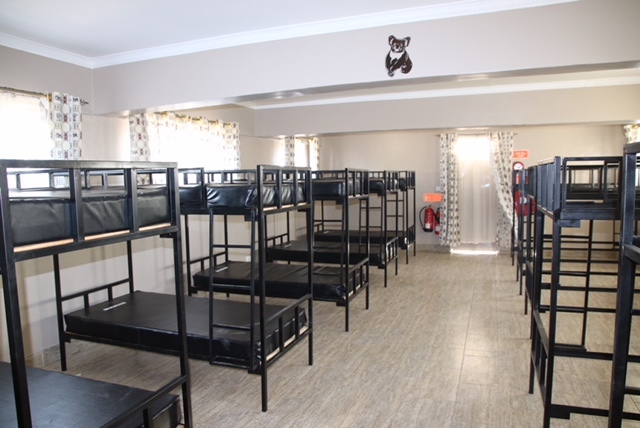 After enough fundraising occurs for this then they still want to build the boys orphanage house as the boys are still accommodated in triple height bunk beds in the same small room where they have always been. So in these respects there is still much to be done. On the positive side the school now has a small library, a computer room and the dressmaking room. Most of the equipment for these rooms has been donated from Denmark. 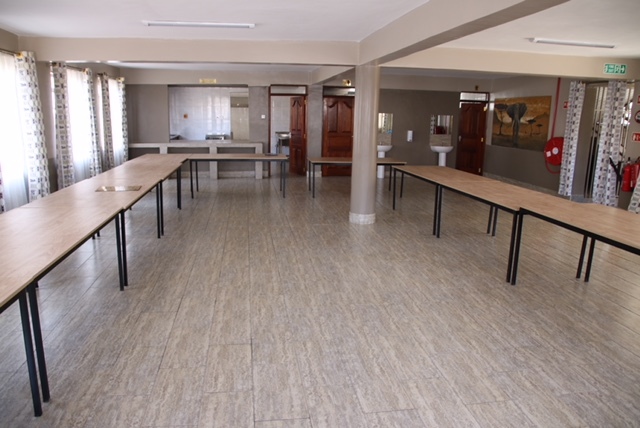 Also the children are now able to eat the provided daily meals in a large room and this is much more hygienic than when they ate in the class rooms. At meal time they all are given a metal dish and tin mug and this is another improvement we have seen. 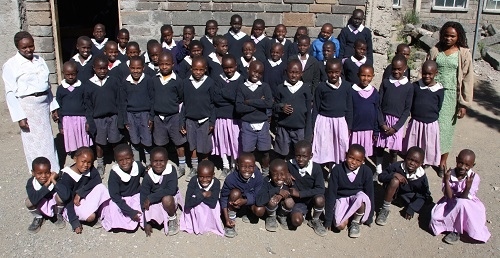 With respect to Rotary's help with the uniforms we are continually told by teachers, parents etc about how thankful they are that the children have the opportunity to be wearing a uniform. The school jumpers now have a logo with the school name as well as the motto 'strive to excel'. 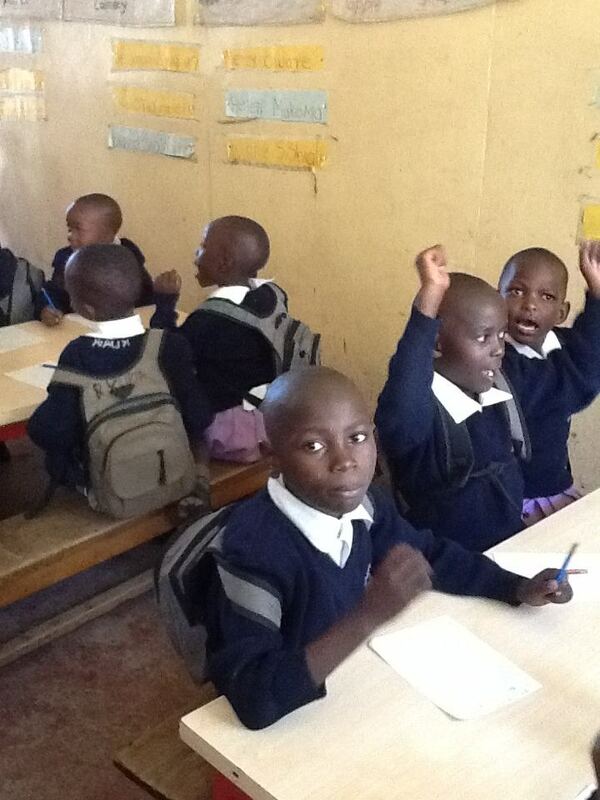 The children are supplied each year with a new uniform, a pair of shoes and now also a small school bag. Of course for many they only have one extra set of clothes so the uniforms get a fair amount of wear in the period of a year plus of course the kids grow out of them. 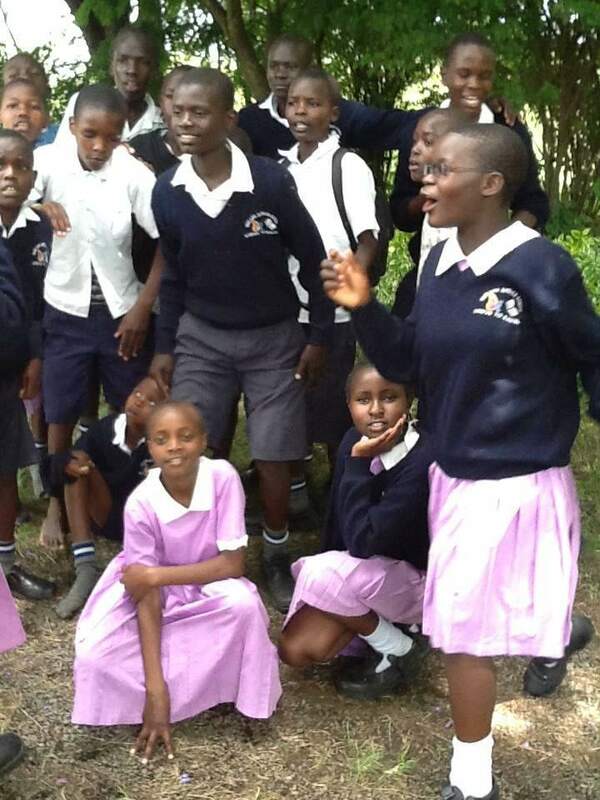 So the funds we send are just so important and together with some money from the student sponsorship program they are able to have these uniforms. It is a huge expense in the school budget but it has a very top priority. In the earlier years when they had no uniforms the students were ridiculed around this area and were called 'parking boys'. The other better off children called them this as they were from the slums and would only end up with the worst jobs available. (That is of course if they got work!) So now they look as good as students from any other school in this city and you can't underestimate how important this is for their self esteem." At the city dump they have also started a small nursery school and the children at this school also are provided with a uniform. We visited some of the homes of these small children and it makes you want to cry as they are just constructed from materials salvaged from the dump." 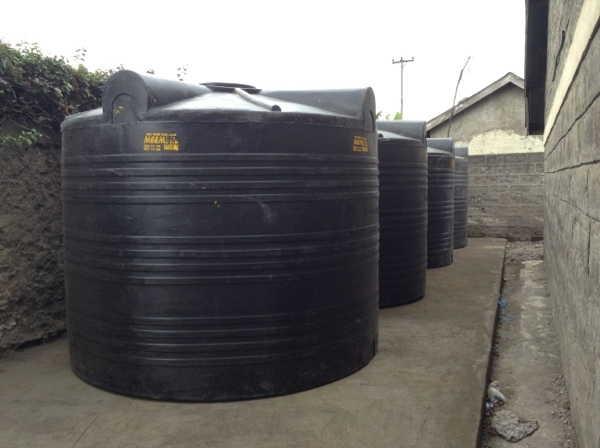 The Rotary Club of Encounter Bay has provided rainwater catchment and sanitation facilities for the benefit of 550+ children at the New Life Africa International School and Orphanage in Kenya. 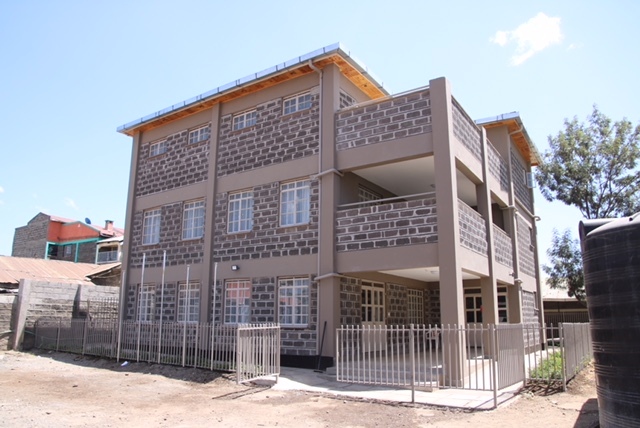 The project specifically serviced a new toilet block constructed in 2013 (with some direct assistance provided from the RCEB). 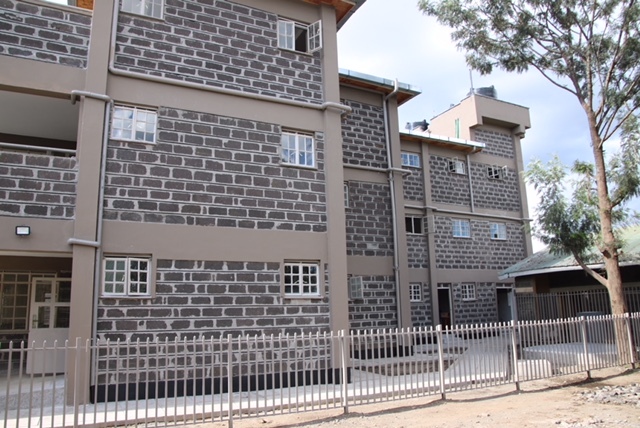 It also serviced amenities in a newly constructed school building. A budget of approx $15,500 AUD was required to make this project a reality. We sought support of District funds through a grant to supplement our own contribution of $11,000. 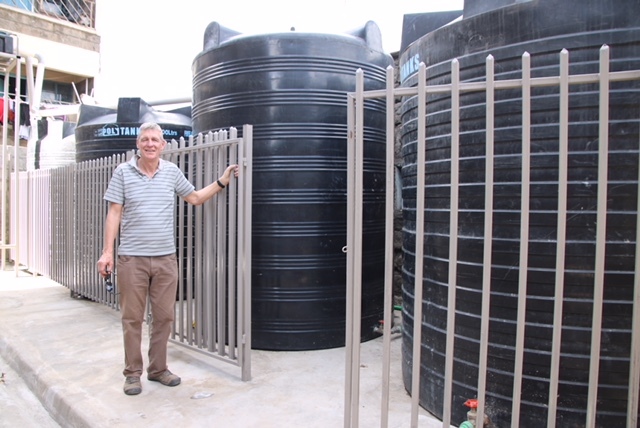 Club member David Virgin has provided expertise in the planning and has supervised the building of both the rainwater project and the new boys’ school. 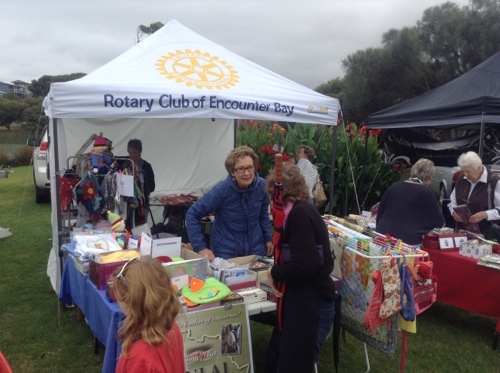 The Rotary Club of Encounter Bay has been contributing to the school for over 13 years after Rotarian David Virgin’s daughter, Shari worked there as a volunteer. 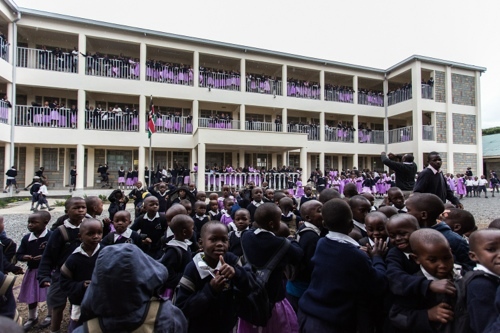 Approximately 700 students and other people who live in the poorer areas of the city of Nakuru benefit from New Life Africa International and the Encounter Bay Rotary Club has been particularly involved with the uniform program and helping to provide equipment for the girls’ orphanage house. 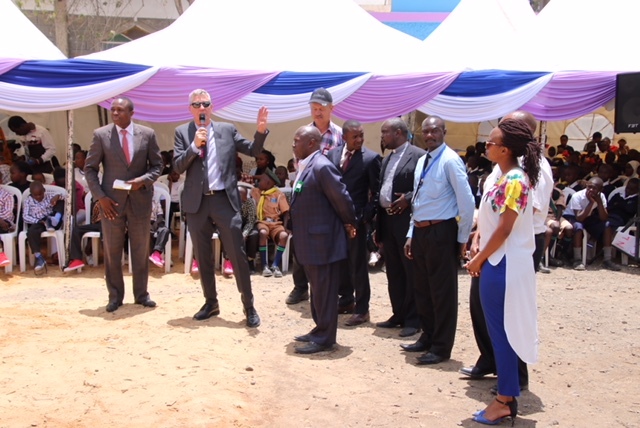 New programs include the opening of a new nursery school alongside the city dump, a water catchment program and fund raising for a new boys’ home as well as a new school building. The Virgin family has visited the school several times and provided the club with firsthand knowledge of how the money raised is spent. 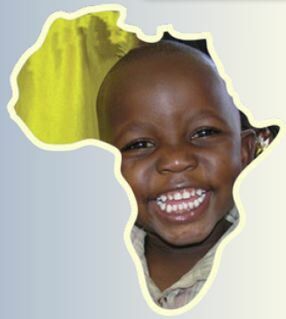 They have relayed the positive feedback about how much the club’s efforts are appreciated and the wonderful educational and other benefits these students receive from New Life Africa International. A team of crafty volunteers and members of a quilting group have worked together to raise money annually for this cause.